Plans for new data protection rules in the UK have been confirmed in the Queen’s Speech. They will give young people the right to demand social networks delete any personal data they had shared prior to turning 18. 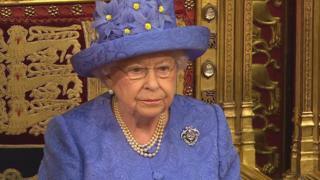 The Queen said the UK would retain its “world-class” data protection regime. The proposed Data Protection Bill will reflect plans described in the Conservative Party manifesto ahead of the general election in June. The government also said it would implement the General Data Protection Regulation – new EU data protection rules due to come into force in 2018. It said the new UK Bill would ensure the country met its obligations while a member of the EU, and would help the UK maintain its “ability to share data with other EU members states and internationally after we leave the EU”. The new bill will replace the Data Protection Act 1998.